In a bid to enforce the use of genuine software in the country, the Kenya Copyright Board (KECOBO) formed a partnership with Microsoft Kenya in 2013. The partnership enables the two organizations to carry out programmes and campaigns for educating the public on risks and penalties of pirated software. In 2015, the two partnered in the develop an online portal, IP Hub, that will allow creators of intellectual property ranging from musicians, innovators, developers, artists to creators to register it. The system which has since been handed to KECOBO allows for the education of innovators on all aspects of intellectual property. The Kenya Copyright Board (KECOBO) has announced a month-long amnesty for users of non-genuine software, to allow them a chance to purchase or subscribe to genuine/licensed software ahead of a planned crackdown. According to the body software piracy rates remain high in Kenya, at a staggering 78% worth more than 12 Billion shillings. Microsoft being one of the largest software companies in the world has most of its software, especially its windows operating system pirated hence their heightened support for KECOBO’s activities. According to the of 2014, 43% of the software installed on PCs around the world, with a commercial value of Kshs 6.2 trillion is not properly licensed. During the one-month Amnesty, Microsoft has undertaken to drive consumer awareness campaigns around the purchase and use of genuine software. 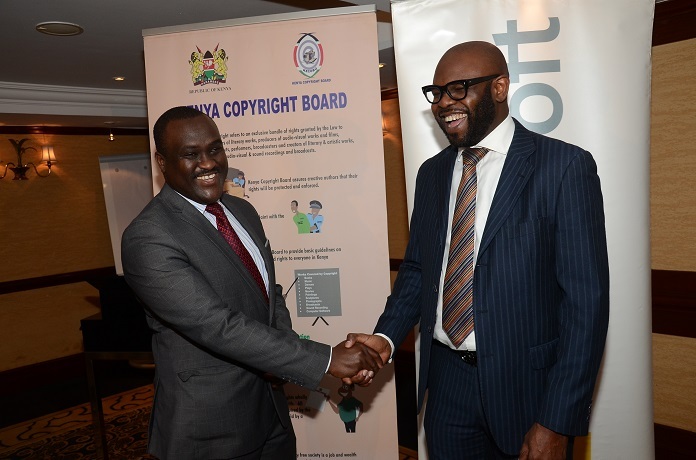 The KECOBO-Microsoft partnership was to run for a period of 3 years with the partners creating awareness among journalists, software reseller channels and government procurement managers on the impacts of software copyright and trademark infringement.